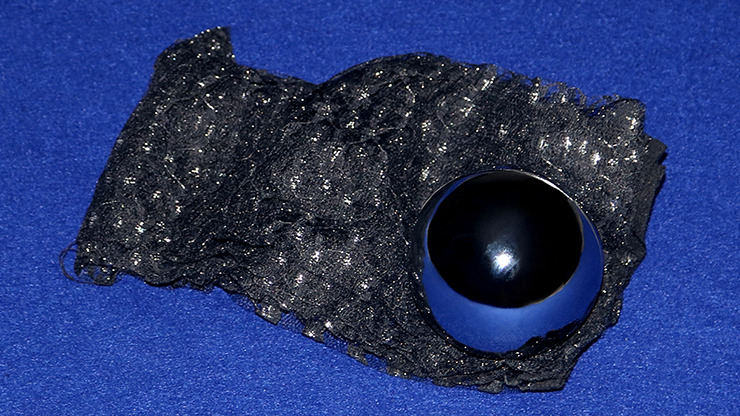 A glittery large ball floats in all directions without any visible means or support. It floats in front of a semi transparent cloth. The ball floats upwards and downwards, from one side to the other side of the cloth, making a very uncanny effect upon the spectators. Small and Large options available.